Warm weather continues and I am convinced that we are about a week ahead of schedule on blooms and lawns. I’m now calling my lawn a prairie, as it continues to grow and I continue to wait to get my mower back from the hardware store. I don’t want to bore anyone with the details, but I think my mower should be ready on Monday. When I called at 4:30 PM they said they were ‘working on it now’. But apparently that means it won’t be done until Monday. They must quit at 5:00 or something, and plan to leave my mower in a half-tuned state until Monday. But when I asked if I should just come Monday after work he said no, wait until they call me. They better call me on Monday! I did attempt to try to borrow a mower from three different people. My sister’s mower is at the same hardware store mine is at, waiting for a tune up. Another friend’s mower hasn’t worked since last fall, and yet a third person tried to start theirs after I called and it wouldn’t start. So I went out and trimmed around everything. Now my lawn is a trimmed up prairie. And we are expected stormy weather this weekend, so we should get some rain which will help the prairie grow even taller. 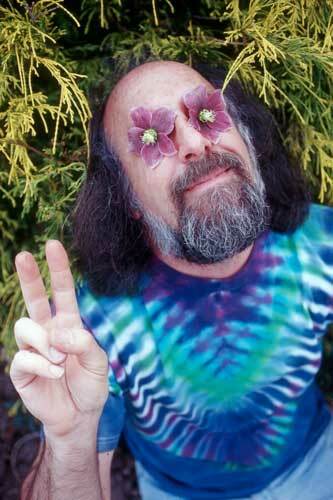 I did check out what is blooming today and compared it to my records. 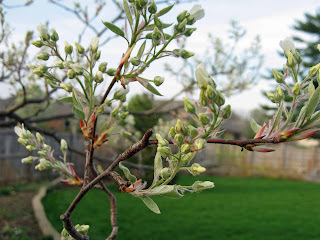 The serviceberry (Amelanchier x grandiflora) is starting to bloom and it is a week ahead of when it bloomed last spring. 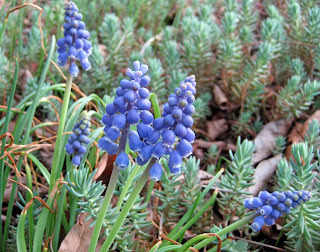 I think the grape hyacinths are also a week or so ahead of schedule. 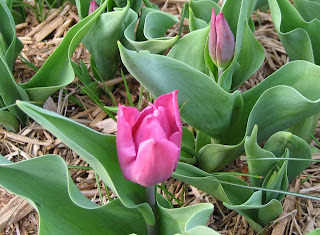 The early tulips are starting to bloom. 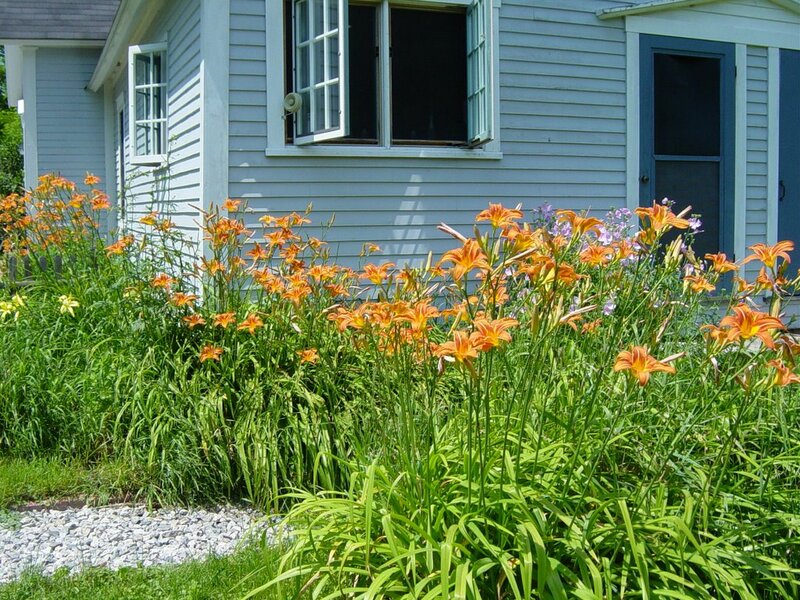 I just planted these last fall, so I don’t have records of previous years’ bloom time to compare to. I thought they'd be taller, however. I think the Helleborus (Helleborus orientalis) are right on schedule. They are a bit shy, so I had to coax one to show its face to the camera. On the way home today, I heard the weatherman on the radio say that by late next week we could see a few snowflakes. We won’t get any accumulation, it won’t last long, but it will be cold. Hi Carol, Oh my gosh, your mowing dilema sounds very familar! 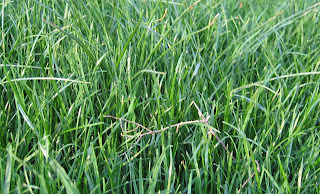 I trimmed our Illinois prarie grass last night! We did however get our mower back this afternoon and I mowed in the spring rain! I bet 15 minutes after I finished it stopped. This was the latest we had ever waited to get the oil changed and blades sharpened. Our neighbors haven't mowed yet, (unbelieveably) and tomorrow is suppose to be rain for most of the day. Sunday is suppose to be a superior day! 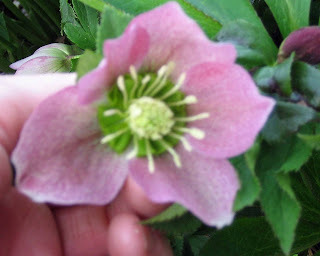 I love the "shy" Helleborus. What is the growing zone for them? We broke down last year and got a rider mower. It was taking hours to mow the lawns. Also, I don't know if other women have this problem, but I simply cannot start a power mower. I pull and pull and just can't do it. So this is a good solution. Pmo3ws I hope to be mowing soon! I am going to plan "c". I'm sure my neighbors are wondering why I haven't mowed yet, as usually I am one of the first to start mowing in the spring! Nan I don't like gas powered, pull start engines, either. My mower has an electronic starter. 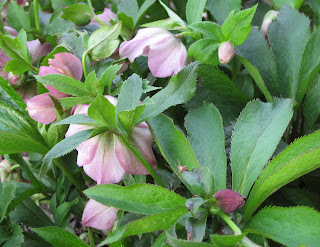 The hellebores, by the way, are at least hardy to zone 5 which is where I am.